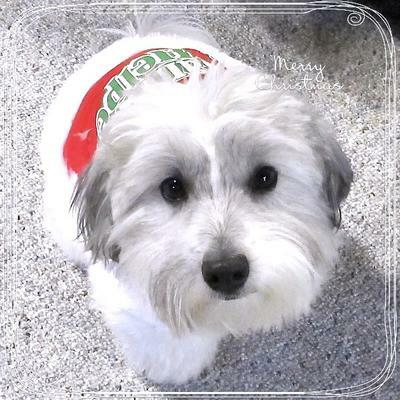 My Coton's name is Coton and his YorkiePoo sister's name is Cutie... Coton and Cutie... They are both about 10 months old and really keep us busy! They are fascinated with the Christmas tree! They found their stockings the other day and snuck a treat out! They've gotten a few presents early but they have to wait till Christmas Day for their main present. I got them a big tunnel with balls that's actually for kids but reviews said dogs love it, too! Hope they like it! We will enjoy playing with it and hopefully get some cute pictures! 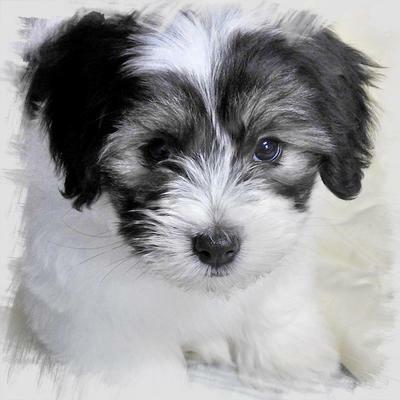 I'm uploading two recent pictures of my Coton and one when he was a puppy. 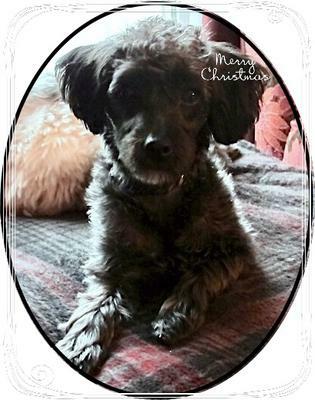 The black pup is our YorkiePoo, Cutie. Thanks for the comments! We had a wonderful Christmas and they loved their tunnel! Haven't gotten any good pictures yet but I'll keep trying. MERRY CHRISTMAS! AND HAPPY NEW YEAR! 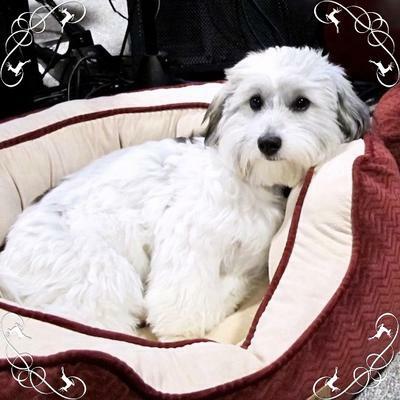 I love the coloring of your Coton. They r both adorable. Merry Christmas and a Happy New Year. Merry Christmas with your little babies. Wow!!! They are so cute. You're so luck to have them in your life.